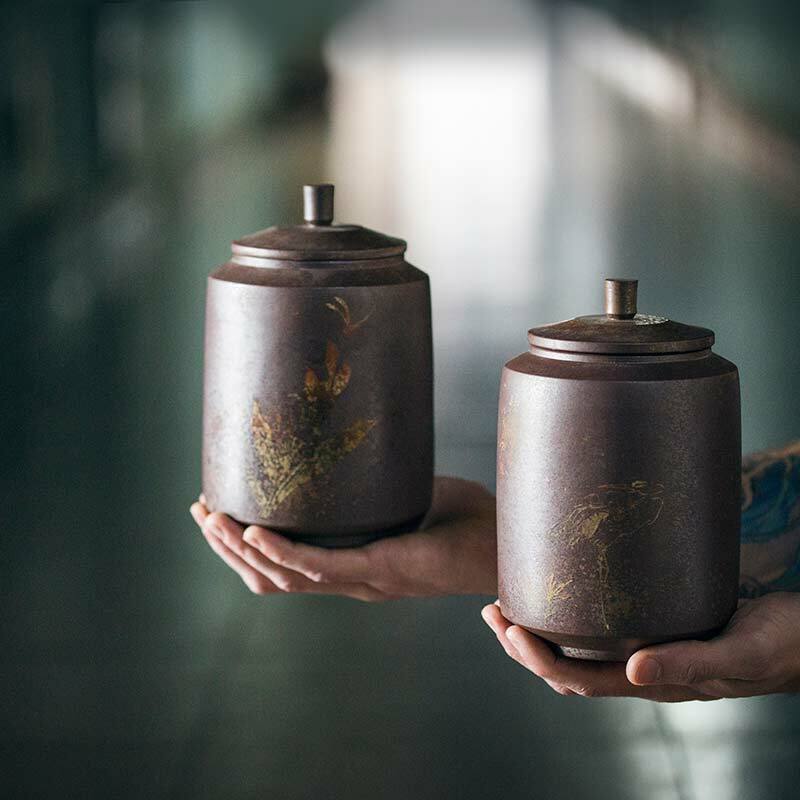 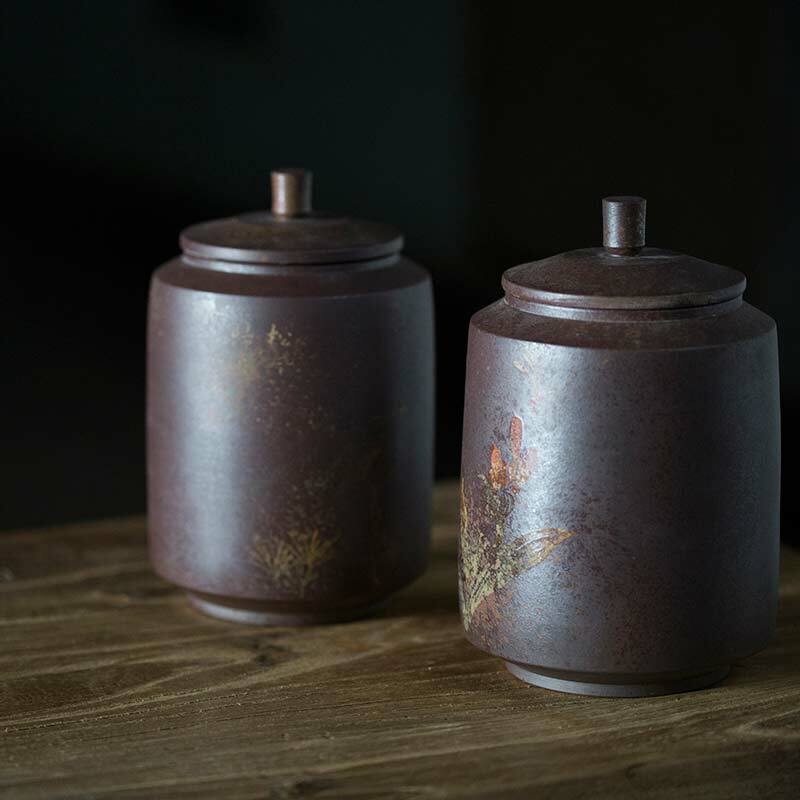 These zitao tea jars are made from unglazed 100% Jianshui purple clay. 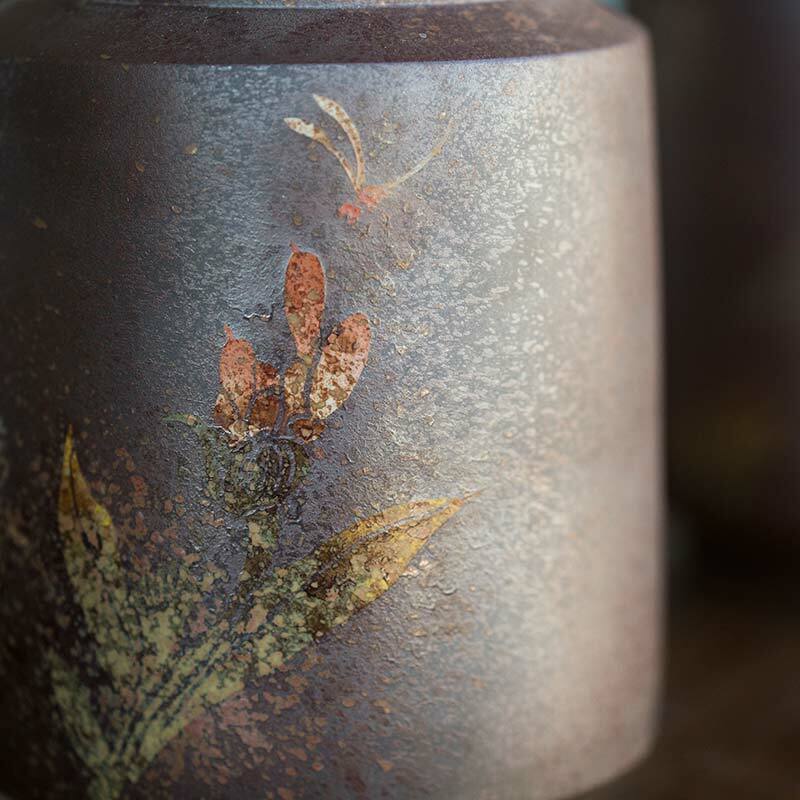 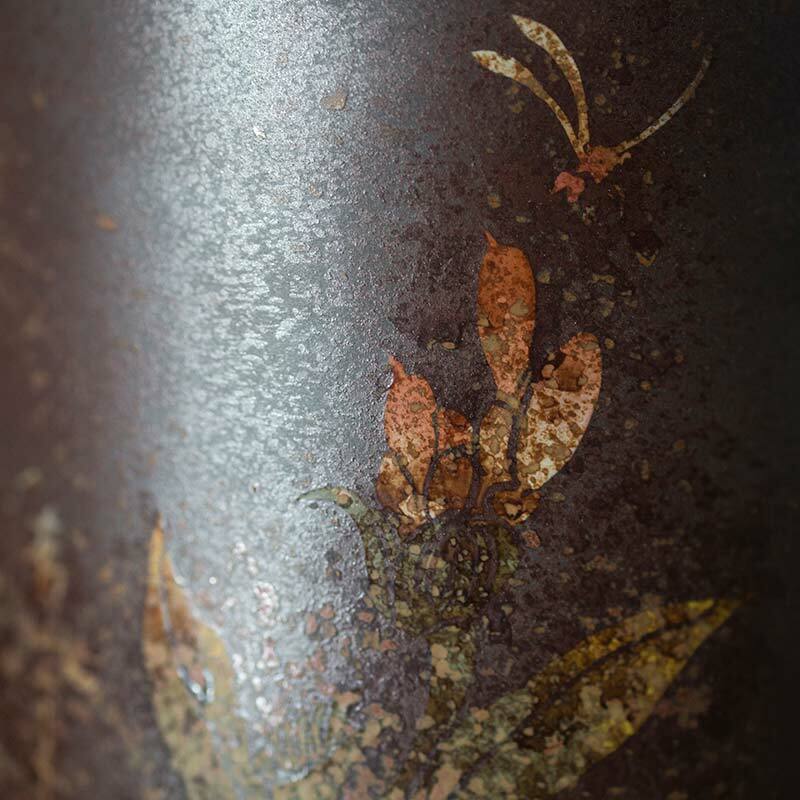 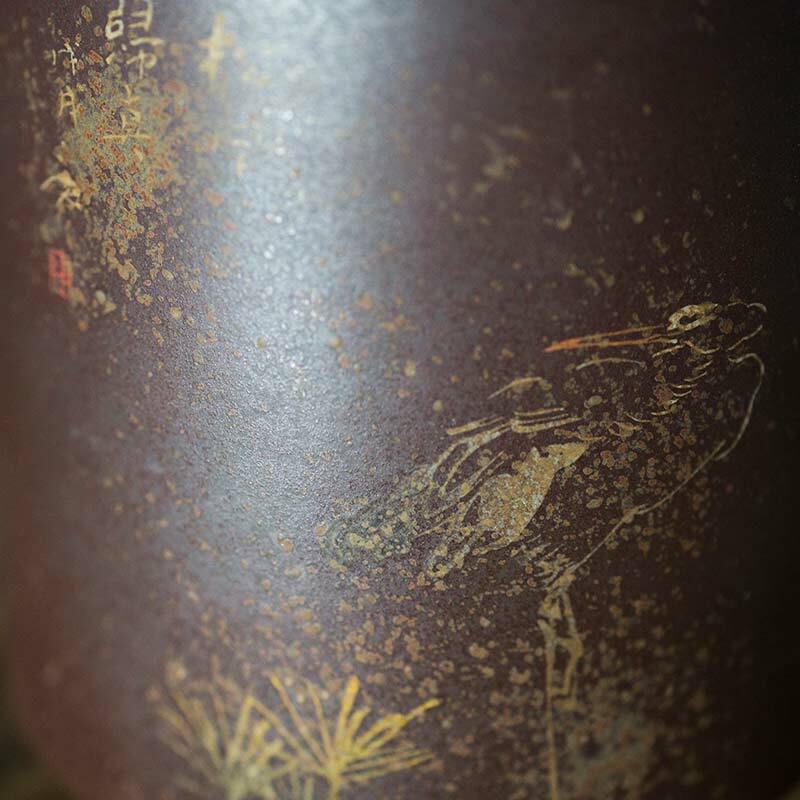 Each jar has either a flower or crane engraved on it. 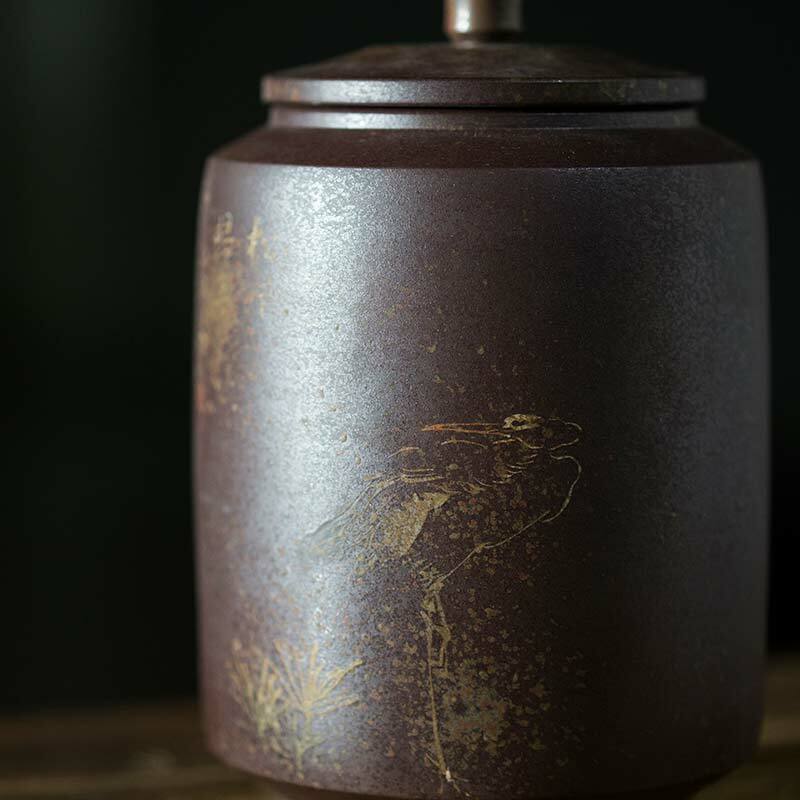 The engravings are then inlaid with various coloured clays before wood firing for several days straight, resulting in natural patterns. 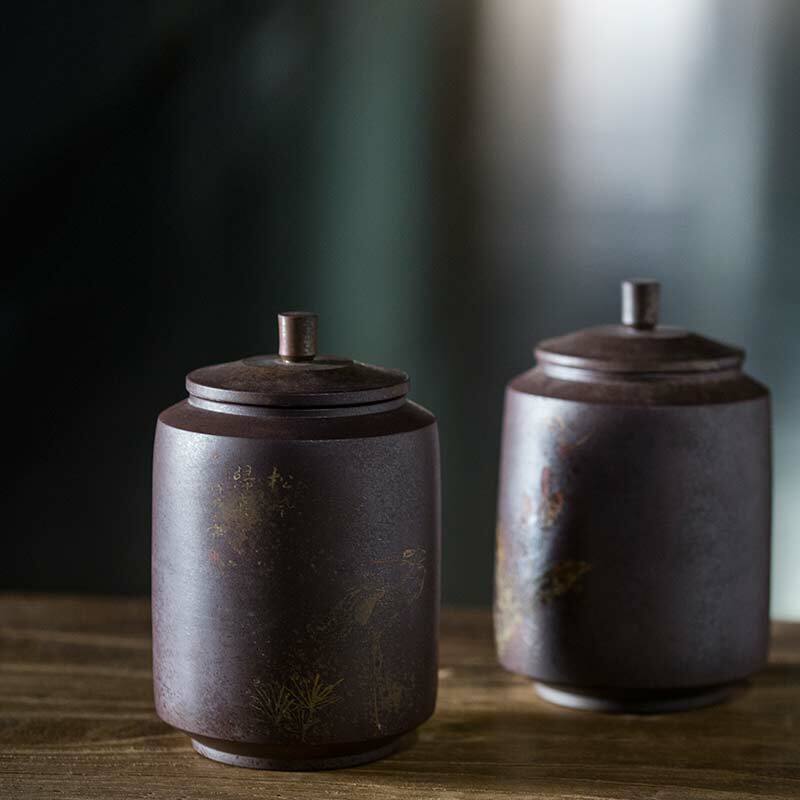 The volume of each jar is approximately 1400ml, making them suitable for storing approximately 1.5 full sized (357g) cakes. 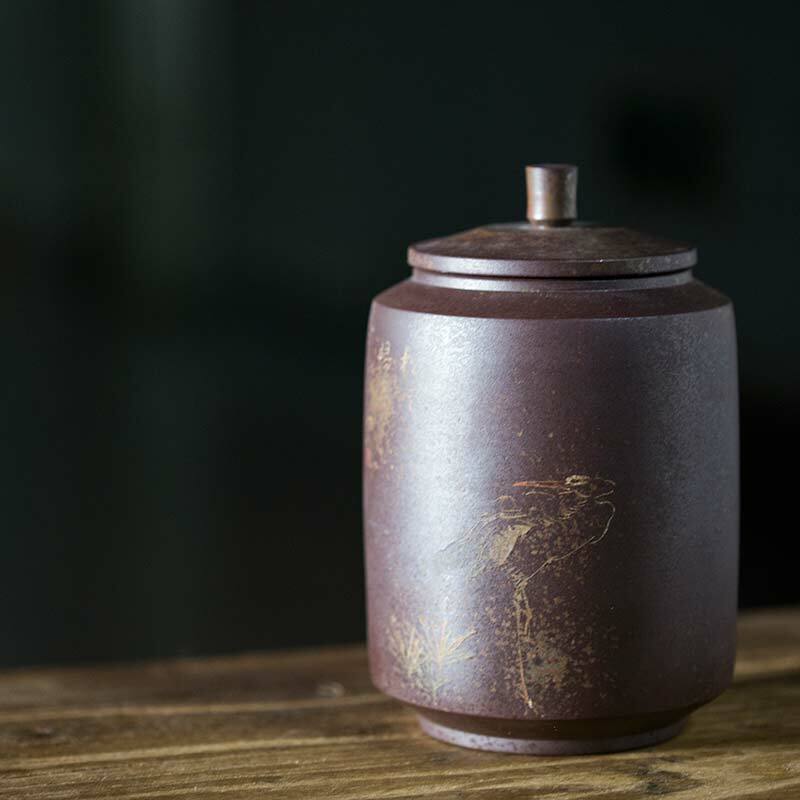 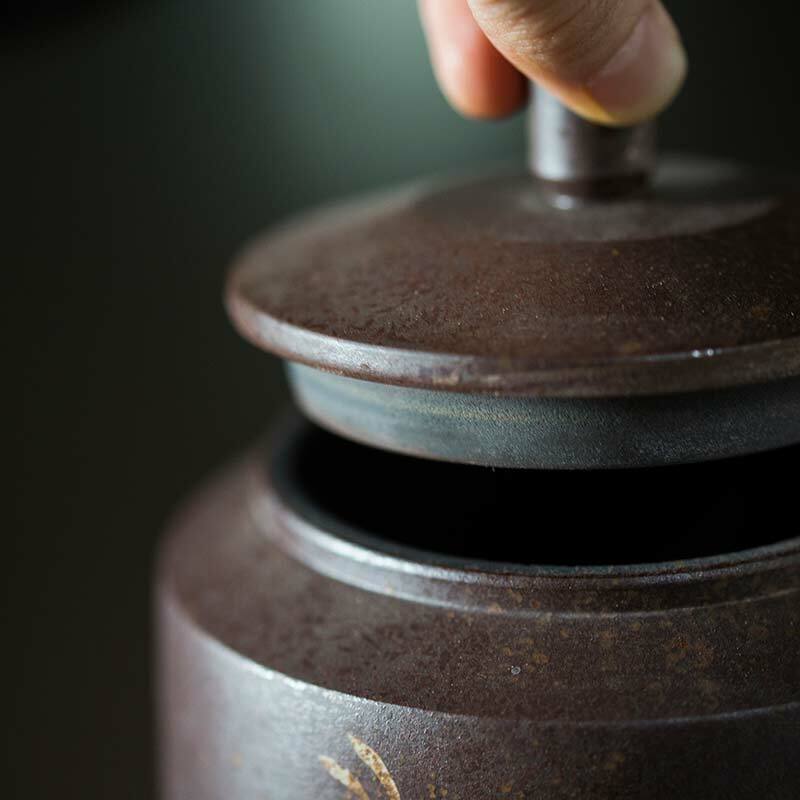 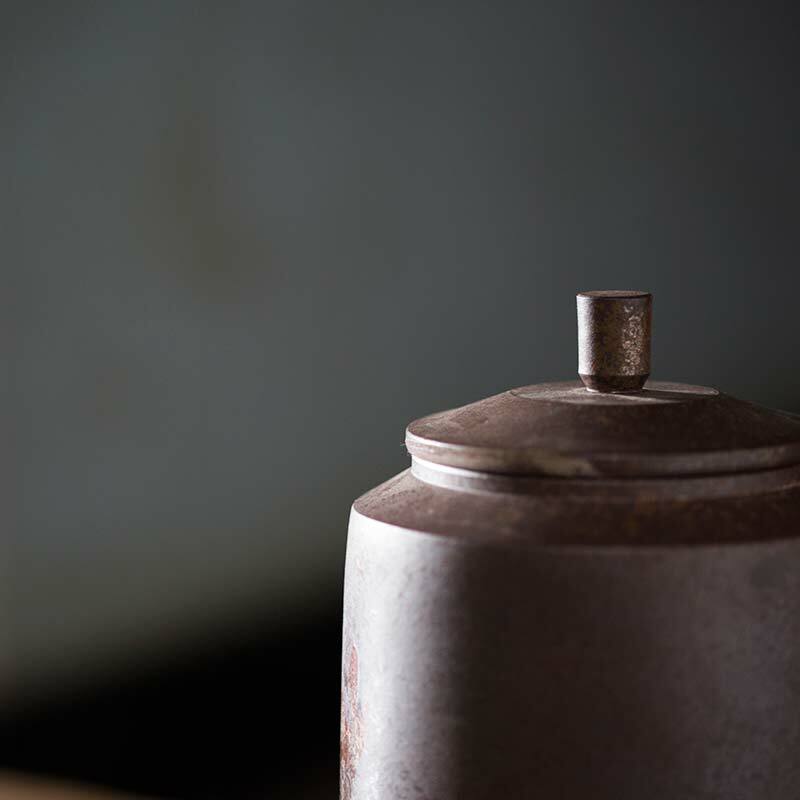 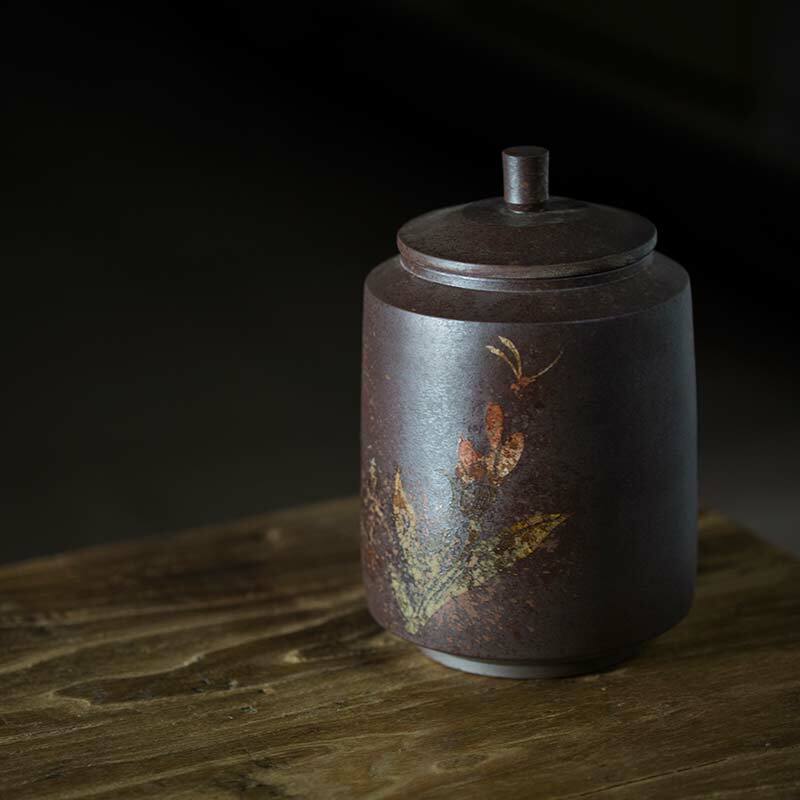 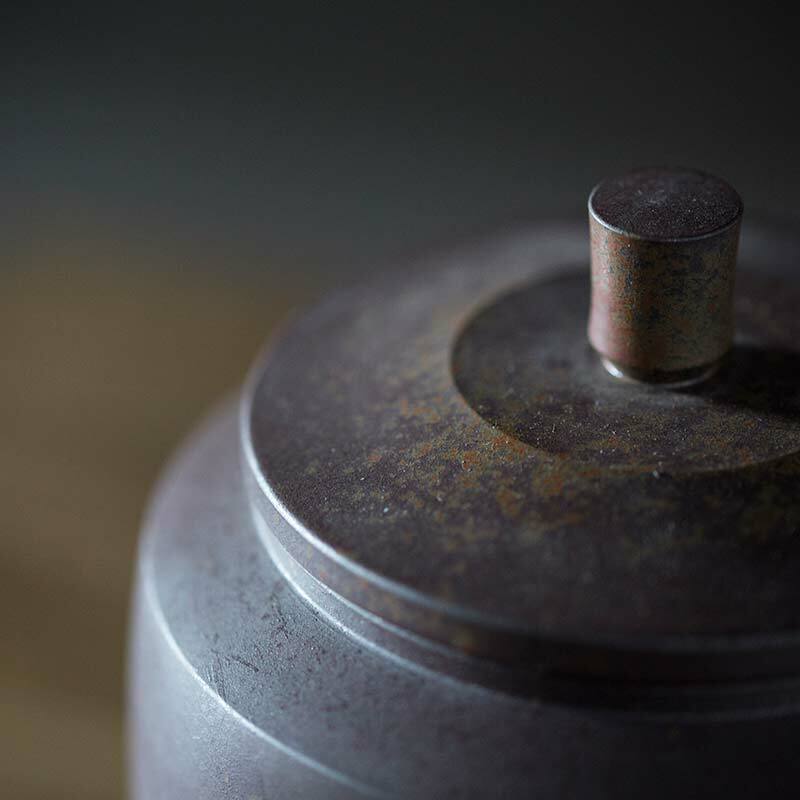 Although it can be used to store any type of tea you choose, purple clay storage is most beneficial to puer as it provides a stable environment and microclimate to preserve an adequate amount of humidity without fluctuations. 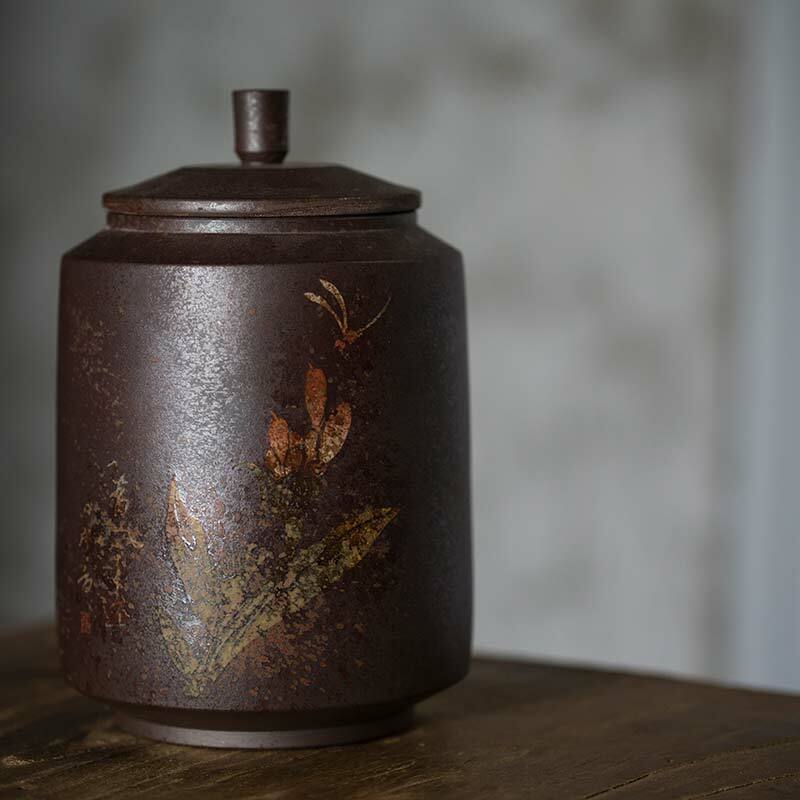 This particular container can be used as a transitional storage spot to “wake up” the tea between longer-term storage and drinking, or a long term solution if you wish. 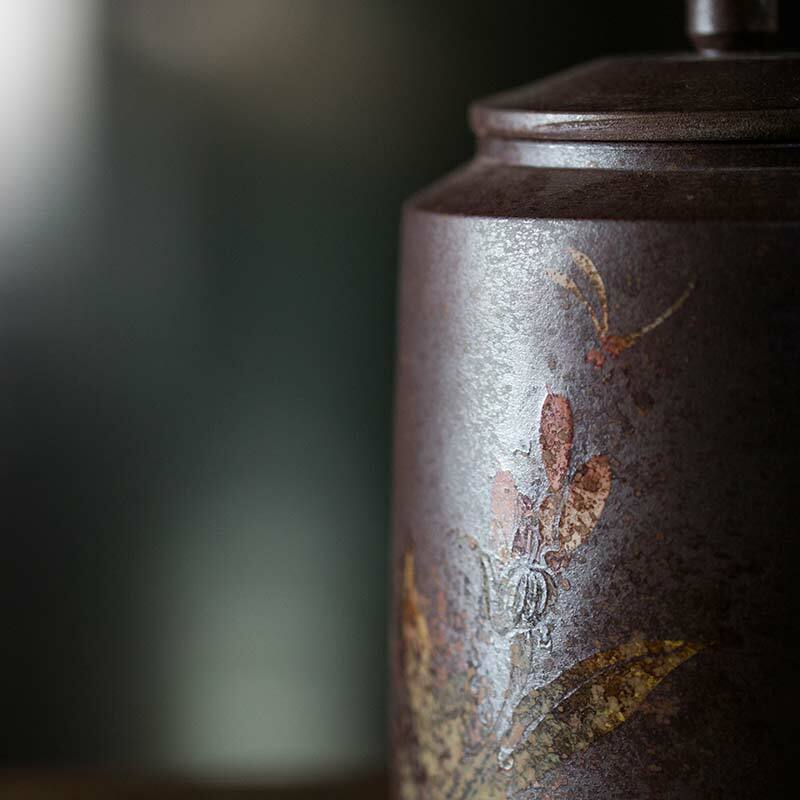 How long you store your tea in it is ultimately up to you.